Choosing the right course for the career is the most crucial decision to make and can be troublesome if not guided properly. 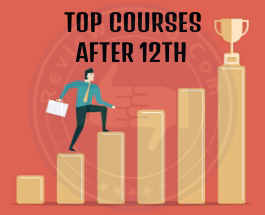 In the current scenario with so many available options for courses and tough competition, it is very hard and confusing to decide for both students and parents. With so many influential people around, we often get swayed or simply do what is told by our parents. In an organization or business, a person who strategizes and coordinates the efforts of employees is known as management. If you are a kind of person who loves to or think that (s) he can easily plan, organize, select staff, lead or direct, and control an organization to accomplish various goals, then management courses can give you direction to accomplish various objectives by using human and financial resources efficiently and effectively. Indian Institute of Management Ahmedabad and Bangalore are one of the Top Management Colleges In India. At least 3-year Bachelor degree or equivalent in any stream with the minimum of 50% or equivalent marks for general category. In case of SC/ST or PWD (person with the disability), you need to acquire at least 45% or equivalent marks. Final year under-graduate student/equivalent qualification is also eligible. Have to clear management entrance exams i.e. 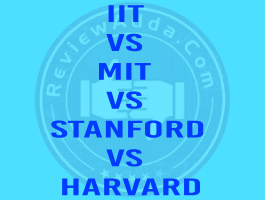 CAT/XAT/CMAT/NMAT/MAT/ATMA to get admission in Management Colleges. Application of mathematics, empirical evidence and scientific, economic, social, and practical knowledge in order to invent, innovate, design, build, maintain, research, and improve structures, machines, tools, systems, components, materials, processes and organizations is known as engineering. It is one of the favourite program opted by many science students after completing 12th as it has the highest paying career in the world. In India, you need to earn few degrees in the engineering field that are regulated by the University Grants Commission (UGC) and the All India Council for Technical Education (AICTE) like B.E (Bachelor of Engineering) and B.Tech (Bachelor of Technology). After these bachelor degrees, you can further pursue M.E (Master of Engineering), M.Tech (Master of Technology) or M.S (Master of Science). Candidate should pass the 12th examination with minimum aggregate of 60% marks for PCM (Physics, Chemistry, and Mathematics) and PCB (Physics, Chemistry and Biology). These days the computer is an integral part of education and is also the lifeline of the young (student) generation. With the increasing popularity of computer, IT industry is also evolving and growing. Computer Application is defined as the computer program designed to perform a group of coordinated functions and tasks for the benefit of the user. The student of computer application basically study those software programs to learn to operate the system. To have in depth knowledge of Computer and Information Technology, BCA (Bachelor in Computer Application) is one of the popular course in IT field. In 3 years of course duration, you will study about a database, networking, data structure, core programming languages like C++ and Java to become Software Developer/Engineer/Programmer. You can also go for Master degree in Computer Applications after BCA that is equivalent to Engineering Course B.Tech. Mark Zuckerberg - Chief Executive Officer of Facebook, Inc.
Sergey Brin - President of Alphabet Inc. Creation of a plan or convention for the construction of an object, system or measurable human interactionis known as design and the person who professionally work in one the various design areas like - fashion, concept or web-designing is tagged as a designer. And as a designer, you need to have a considerable amount of thought process, research, and modelling/designing. Designing is all about networking and marketing your products in a beautiful/presentable manner for sale. National Institute of Fashion Technology and Pearl Academy are one of the known colleges to pursue the course. There are different types and methods of designing depending on the objects and all of them differ from each other. Designing related to fashion, clothing and trend is known as Fashion Designing. As a Fashion-designer, you can work full-time for a fashion house or can work as in-house designers under which you will own the designs. Art and science of enhancing the interior or exterior of a space or building to achieve a healthier and pleasing environment for the user are known as Interior designing. Interior designer is a person who plans, researches, coordinates and manages such projects. The process of visual communication and problem-solving through the use of typography, space, image and color is known as Graphic designing. Graphic designers are a person who use various methods to create and combine words, symbols and images to create a visual representation of ideas and messages. To have deep knowledge of the area you need to study Bachelor of Design. Bachelor of design is an art-centred degree that last lasts for three or four years. There are several variants of B.Des degree that you can choose to specialize in as per your interest â€“ Bachelor of Design: Interior Design/Fashion Design/Graphic Design/Game Design/Multimedia Design/Textile Design/Textile Design. To pursue B.Design you need to qualify entrance examination with at least 50% marks in 10+2 in any stream. The process of communicating your message or information through mass media to a large segment of the population at the same time via a different medium (print and digital) is known as mass-communication. And nowadays it plays an influential and important role in modern society. The study of mass-communication teaches you to how to persuade or affect the behaviour, attitude, opinion, or emotion of mass at the same point of time. With time method of mass communication has evolved a lot and now the internet is the most used method to transmit quick messages. With time study of mass-communication is evolving and currently, there are four fields that are considered major areas â€“ Advertising, Broadcasting, Journalism and Public Relations. Career options for Mass-communication field are vast for the students with strong people and communication skills, creativity, energy and enthusiasm. You need to study BJMC (Bachelor of Journalism and Mass Communication) to seek career in various field (Print, TV, Digital) of mass communication such as Film Director, Public Relation Officer, TV Correspondent, Screenwriter, Editor, Event Manager, Critic, sound mixer and recorder, Radio/Video Jockey, Photo-journalist etc. Mass Communication is generally an undergraduate major done after 10+2 with good academics in any stream. Ever wondered what goes behind the luxurious hotels, resorts and fancy suits, how they manage and coordinate so giant infrastructure without any flaw. The Management of the service sector in the hotel industry by focusing on serving the needs of its clients is known as Hotel Management. And General Manager of the hotel serves as the head executive who manages the operation of that hotel or related establishment. You will also get a chance to sail by being Cruise Ship manager. A hotel management professional can be employed in various field like hotels, resorts, fast-food chains, accommodation and catering, restaurants, etc. There is a huge chance of getting jobs after this course in large hotel chains like Taj Group, ITC, Oberoi hotels, Hilton Group, etc. For an undergraduate degree, you need to clear 12th examination with minimum 50% marks and English as the compulsory subject in any stream. For post-graduation, you need to acquire at least 45% in graduation. In our society doctor is respected the most due to the fact they are privileged to save a living being therefore sometimes given the place of god. A medical doctor is defined a person who practices medicines to treat illness and injuries. Doctor degree is considered the most prestigious degree as they have the power to heal and go to medical educational institution to learn medicine.M. B. B. S. (Bachelor of Medicine and Bachelor of Surgery), B. D. S. (Bachelor of Dental Sciences), B. H. M. S. (Bachelor of Homoeopathic Medicine & Surgery) and B. A. M. S. (Bachelor of Ayurvedic Medicine and Surgery) are the most famous field studied by medical students these days. All India Institute of Medical Sciences and Christian Medical College are the topmost medical colleges of India to study medicine. A student with M.B.B.S degree receives the title of doctor and further can specialize in the various field of medicine by pursuing post-graduation degree. Upon finishing medical school you can choose to work in hospitals, public health care or science institute.M.B.B.S is a bachelor degree in medicine and surgery with 5.5 years of duration. The field that deals with the study of investment and money management is known as Finance. It is generally divided into 3 subcategories â€“ public, corporate and personal finance. Mostly we study finance to find effective ways to manage the money of an organization in order to create wealth and value of the organization. It also includes the study of planning, raising funds, cost controlling and making wise investments for an organization. To have in-depth knowledge about the finance field you can study B.Com (Bachelors of Commerce) and CA (Chartered Accountant)/CS (Company Secretary). Indian Institute of Management is the top college for MBA in Finance. Chartered Accountancy is one of the popular course for students who are interested in finance. They work in the field of business, finance, audit, taxation and financial management. Chartered Accountancy is the core of any business to run successfully. Before starting to practice as CA you need to gain membership of ICAI (Institute of Chartered Accountants of India) on completion of the training. Initially, you can start your career with auditing activities. There are various verticals and companies under which you can work after earning the degree like â€“ private and public banks, auditing firms, legal firms, copyright registers and trademarks, attorneys, stock broking firms, mutual funds and investment companies. K. Rahman Khan - Chartered accountant turned politician from Karnataka and a member of the Indian National Congress. Psychology and Sociology are defined as the scientific study of people that go hand in hand. Study of both helps us to understand the emotions, relationship, and behaviour of another human being in a much better way. Being the same goal and objective to achieve, the study of Psychology and Sociology differ from each other in many ways. Psychology is defined as the study of behaviour and mind including conscious and unconscious aspects whereas Sociology is the study of social behaviour or society. If you are the person who is fascinated by the investigation of the reason of behind the human/society behaviour in a certain situation then this is the right course for you to give direction in that way. Psychologists and sociologists are one of the common options that come in our mind when we talk career opportunities for Psychology and Sociology students for which you need to study Bachelors of Arts in Psychology/Sociology. But let us talk about the real jobs that you can get or can aim for. Nowadays job opportunity for psychology and sociology graduate is increasing due to so much competition and stress in the society. 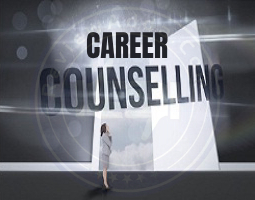 Admission counsellor, behavioural therapist, career counsellor, child care worker, relation representative, marriage counsellor, psychiatric social worker, rehab counsellor, substance abuse counsellor are among the few job titles that are quite in demand these days. Career opportunities are vast for the students of Psychology and Sociology as from school to corporate world are in need of these experts. You might even get a chance to work with Red Cross and NGOs. Minimum 45% marks are required to qualify the examination (3 best elective subjects+1 language-based subjects). Law is defined as the system of rules that are enforced through social institutions to govern behaviour that can be made by the collective or single legislator. With the help of law only, we can expect a specific kind of behaviour from a set of people or society, in absence of law everything will simply look chaos, therefore is considered a crucial part of the society. Every field has specifically defined laws to avoid any sort of escalation. Law degrees basically helps us to understand the process of law and how it works. It is one of the most respectful and most sought-after course to study. National Law School of India University is the Top Indian Law School as per the Outlook 2016 ranking system. There are basically two types of law in which you can specialize â€“ Civil and Criminal laws. With the degree of law, you not only get a chance to work with top lawyers but also can practice as a lawyer in the court-room. With the B.A.L.L.B degree, you can seek your career in different sectors like corporate management, legal and administrative services. You can also practice as an advocate in a courtroom or can become a legal advisor for corporate firms. To become the judge you need to clear examination conducted by Public Service Commissions. You have two options to pursue the law degree - One is to do B.A LLB, 5 years integrated program right after 10+2 and another option is of LLB program of 3 years after completing graduation. Some universities and institutes who give an extra 2% marks for post-graduate students. Teaching is often defined as the profession of teaching some ideas, belief, etc. to the person and the educator who provides education is known as the teacher. Teachers play an important role in building and shaping the career of the students. It takes lots of passion, enthusiasm and dedication to mould the future generation of the country. Education is the basic necessity for growth, modernization and helps in nation building, therefore teaching is considered as the most respectful job and strength of every profession anywhere around the world. IGNOU (Indira Gandhi National Open University) and Amity Institute of Education are the known colleges to provide bachelor degrees in teaching. Teaching is the most difficult job as it comes with the great responsibility of building the nation but the same factor can also make it the most rewarding job as well. To take teaching as your professional career you need to take B.Ed. (Bachelor of Education) following M.Ed. (Master in Education). 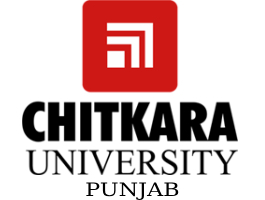 It is the mandatory degree in India for teaching in secondary and higher secondary. Demand for teachers in the coming year will never decrease as with time we all are understanding the importance of education. Under the teaching domain, you can aim for technical or special education teaching, technical assistant, pre-school-director, etc. For B.Ed. the degree you at least need to have bachelors in Arts/Science/Commerce with minimum 50% marks. Technique and science of preparing and dispensing drugs are known as the pharmacy and healthcare professionals with specialized education and training to perform various roles to ensure optimal health outcomes for patients through the quality use of medicines are called pharmacists. And public pharmacists are given the responsibility of proper drug receipt as per the ailment. The pharmacist is more than just a drug dispenser, s (he) plays a crucial role in the medical management and overall health care programming. National Institute of Pharmaceutical Education and Research, Mohali and Jamia Hamdard, New Delhi are the top public Pharma Institutes in India. The most common field after graduating in Pharmacy are community, hospital and industrial pharmacy. But there are other exciting fields as well in which you can go after achieving a master degree in Pharmacy. You can train and help other budding future pharmacists by becoming lecturers in universities or college where you can get a chance to work in different research activities of students. Due to having detailed knowledge of the health sector you can also become a health specialist or can write a column for the health section. Regulatory Affairs are also in need of Pharmacists, especially when dealing with medicines or medical products. With so many tough competition and fraud medical products in the market, a pharmacist can be a boon for industrialists who are dealing with drugs. You can also work as a health and drug inspector. After which you need to qualify the entrance examination. For M.Pharm you need to clear GPAT entrance examination with a B.Pharm degree. Travel and Tourism is the largest service sector in India as well as abroad as millions of people travel each year for business or leisure. Tourism is defined as the business of attracting and entertaining tourists and operating domestic or international tours. Tourism plays a vital role in the growth of the economy of the country as it is the major source of income for many countries. According to the Travel & Tourism Competitiveness Report, India ranked 52nd out 141 countries overall with 8.02 million foreign tourists in 2015. To promote and boost the tourism sector, Indian Ministry also maintains different campaigns like Incredible India which shows development and growth in the same sector in the coming year. Indian Institute of Tourism and Travel Management is the no.1 Indian government institution to provide qualified professionals for the field. To become the part of the travel and tourism industry you at least a Bachelor degree in Tourism Studies and for post-graduate programs you need to take entrance examination with group discussion round and personal interviews. Under the tourism department, you can get jobs as counter and reservation staff, sales and marketing, tour planners and guides, tour operators, travel and transport agents. Fine art is defined as the art developed primarily for aesthetics or beauty, distinguishing it from applied art that also has to serve some practical function. Fine art is generally creative and visual representation that is appreciated for its imaginative, aesthetic or intellectual aspect. Painting, sculpture, architecture, music, poetry, photography, film, video production, theatre and dance are considered as the form of fine art. If any of these forms helps you express your feelings in a much better way or inspire/ fascinate you, then this field is meant for you. 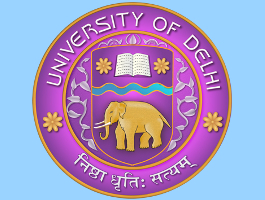 Delhi College of Art gives you a wide variety of art subjects to choose from. A fine art graduate can seek a career in `theatre productions, films, product design, advertising companies, publishing houses, manufacturing department, magazine, television, graphic arts, etc. While studying Fine Arts it is suggested to start working on your portfolio of work and try to make network form the start. B.F.A (Bachelor of Fine Art) degree career scope is very vast and is hard to enlist the whole list of the job. Museum/Gallery Exhibition Officer, Commercial Art Gallery Manager, Museum/Gallery Curator are few high-end positions that you can acquire with Fine Arts degree. Minimum of 50% marks in 10+2 in the aggregate of five subjects. Nursing is more than a job that is defined as the profession of taking care of patients, families, communities so that they can recover from the ailment. Nurses are the key element of the Health sector, as they keep the whole domain running. The scope of nursing is very high as people need healthcare everywhere. As a nurse, you will get a chance to help people in many ways from taking care of new moms to giving guidelines to suicide patients. RAK College of Nursing, Delhi and CMC Vellore College of Nursing are one of the top nursing colleges in India. Recently India has emerged as the largest provider of highly skilled nurses abroad. Demand for trained nurses in India is increasing as nowadays more and more private hospitals and nursing homes are opening. To pursue a career in nursing you need to have sound knowledge of medicines as well as quick decision making mind in the critical situation. In 1664, Military nursing was the earliest type of nursing seen at Fort St. George, Madras started by the East India Company. To pursue the career in nursing you need to study B.Sc. in nursing and for higher studies or specialization in particular areas (like Medical Surgical Nursing, Pediatric Nursing, Obstetrics & Gynecology Nursing, Psychiatric Nursing, and Community Medicine) you need to take M.Sc. in nursing degree. After which you can work in various domains as a Staff Nurse, Assistant Nursing Superintendent/Department Supervisor, Deputy Nursing Superintendent, Nursing Supervisor or Ward Sister, Teacher of Nursing, Community Health Nurse (CHN), Military Nurse, Industrial Nurse Etc. For B.Sc. in nursing, you need to score minimum 45% marks aggregate in 10+2 with Science (Physics, Chemistry, and Mathematics) with English Core/Elective. For M.Sc. you need to have a minimum of 55% aggregate marks in Bachelors with at least one year of work experience. this College Affiliated to Visveswaraya Technological University.